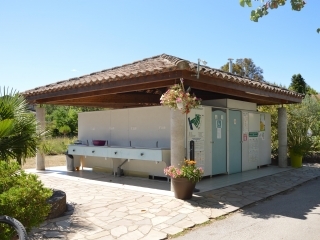 Bungalow - without toilet blocks 4 Ppl. 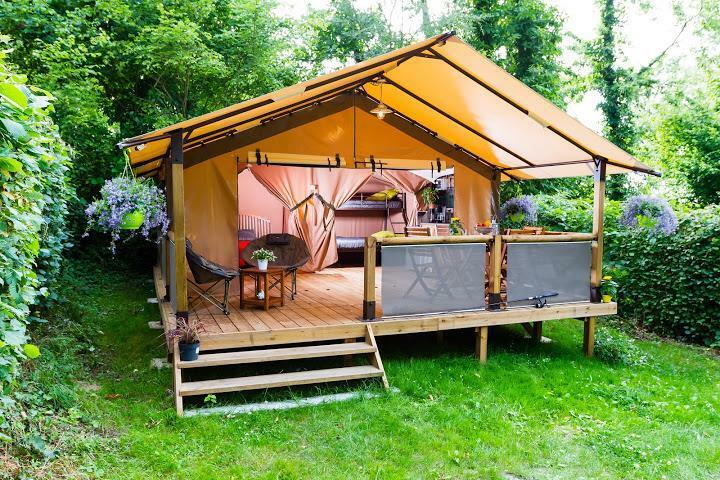 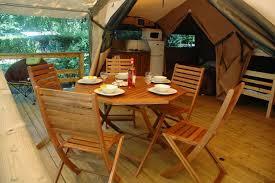 You will find the attraction of comfortable and furnished accommodation for a restful and economical camping stay. 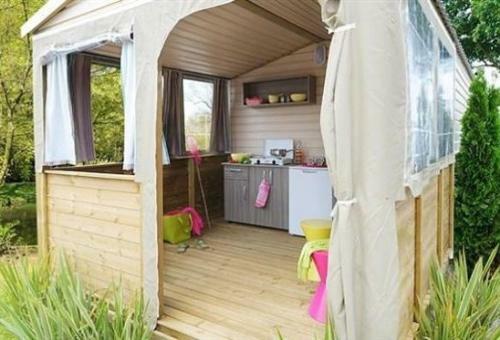 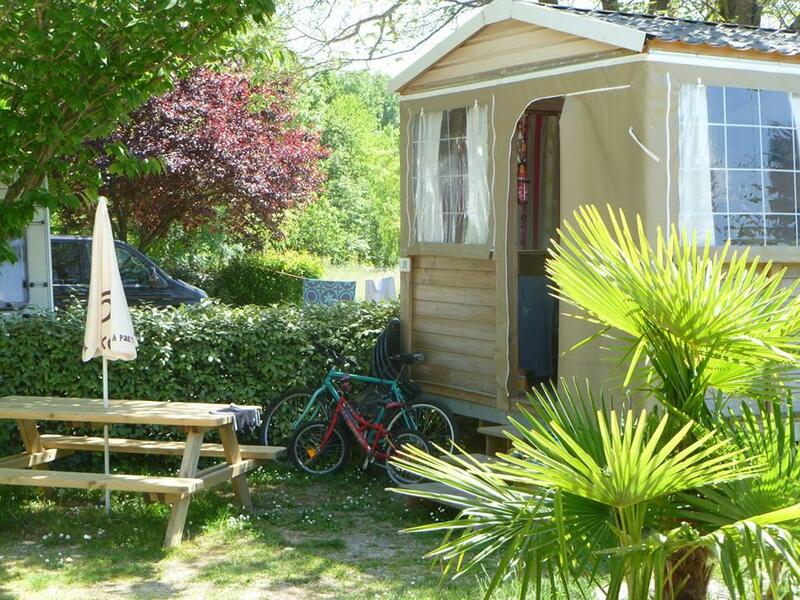 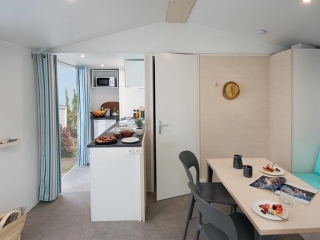 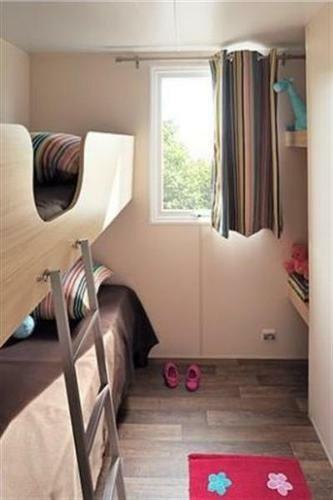 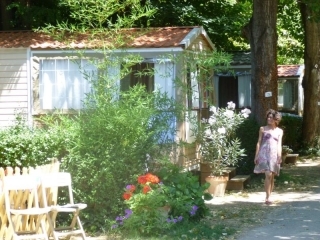 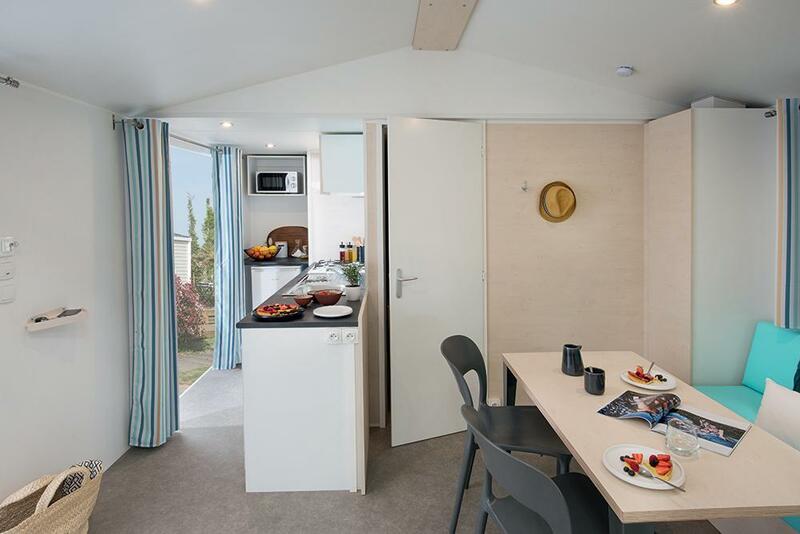 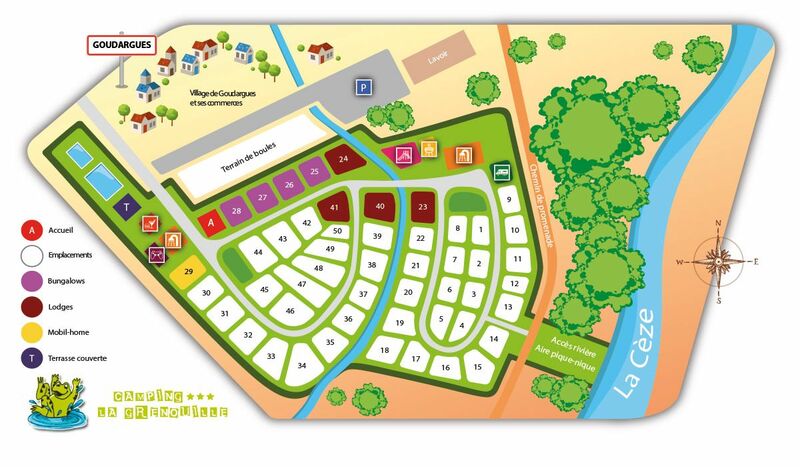 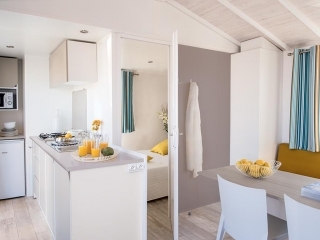 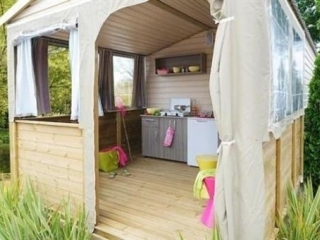 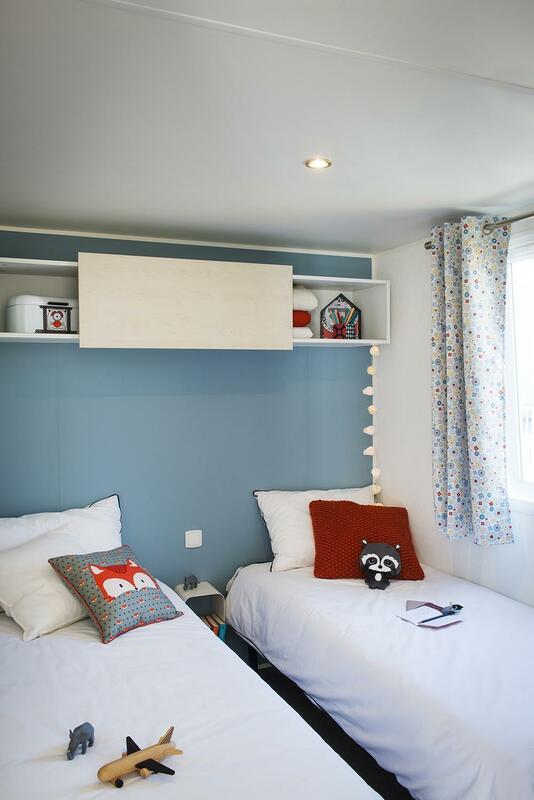 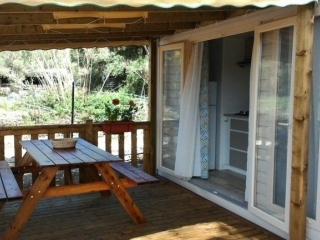 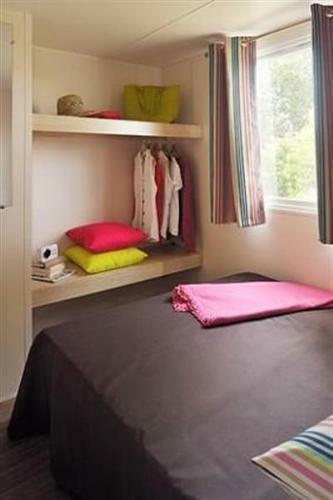 You can benefit from the practicality of this range of mobile homes within our campsite with the necessary facilities. 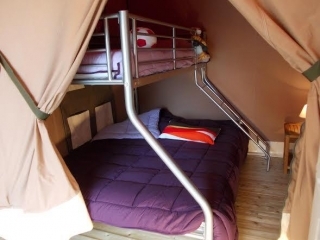 It has 2 bedrooms, one with 1 double bed and the other with 2 bunk beds. 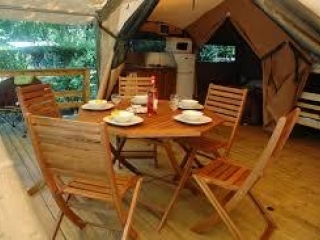 Tent Lodge - without toilet blocks 5 Ppl. 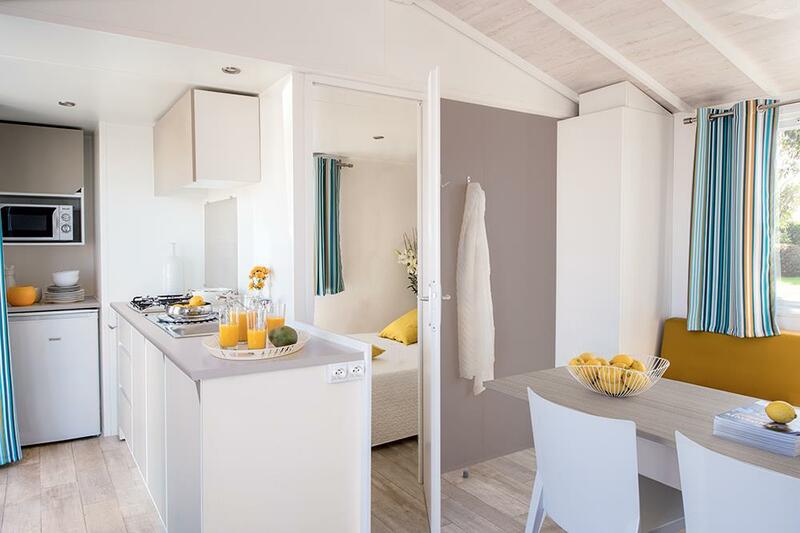 The 30 m2 divided into 2 separate bedrooms and a large living room giving access to the covered terrace, brings this Lodge a certain zenitude to appreciate the best of our site. 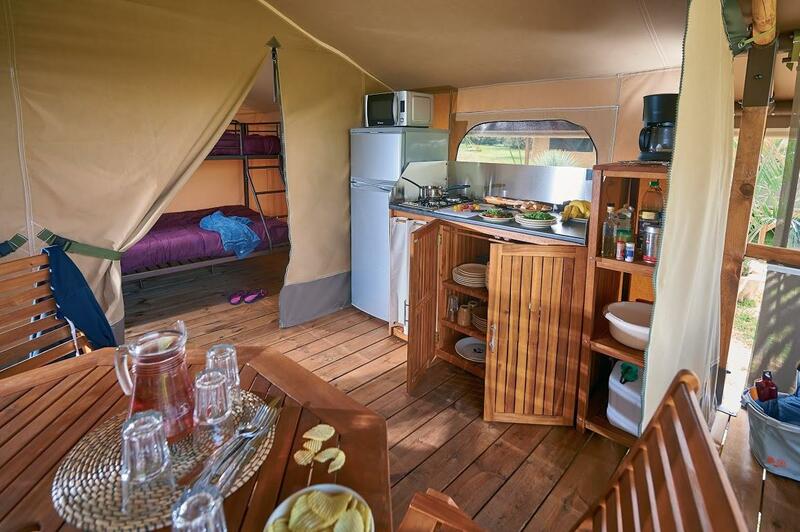 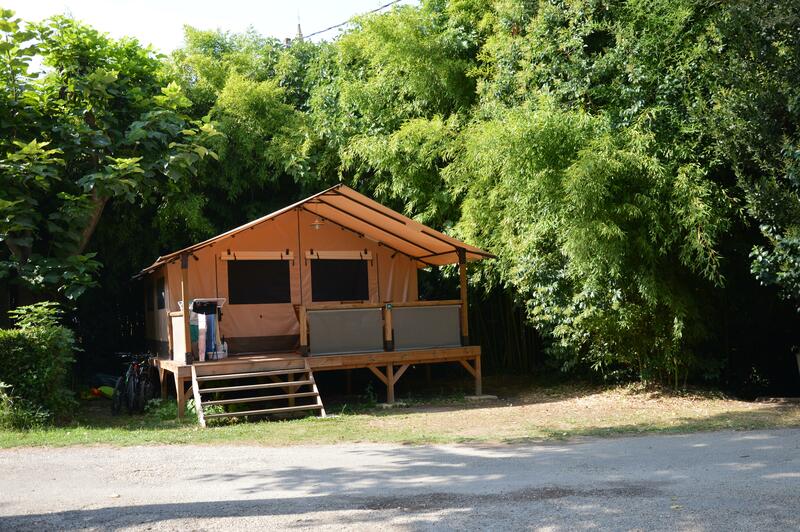 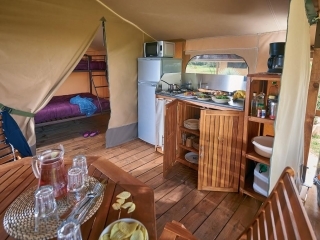 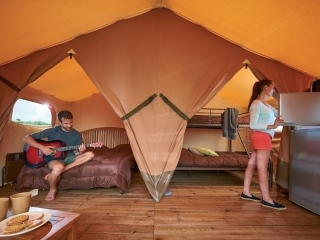 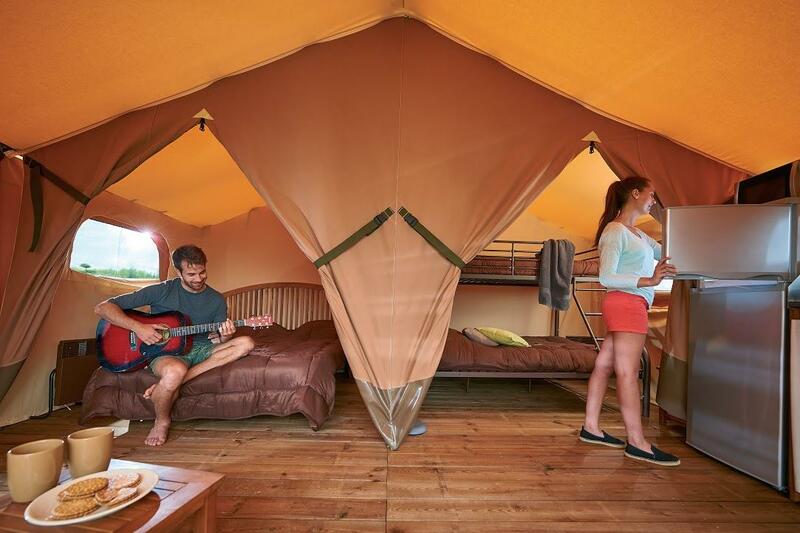 The tents lodges are fully equipped with its kitchen area and all the necessary furniture for your comfort. 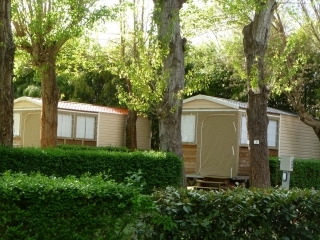 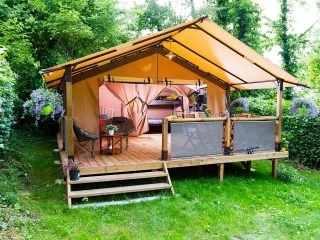 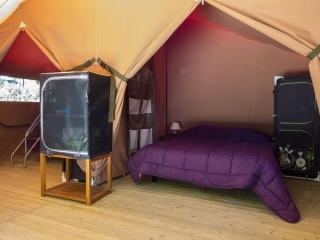 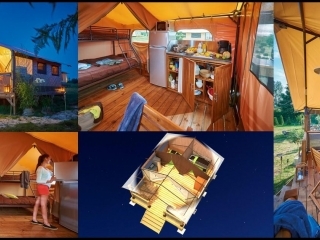 You will find an accommodation that combines comfort and authenticity while experiencing the emotions of camping and outdoor life. 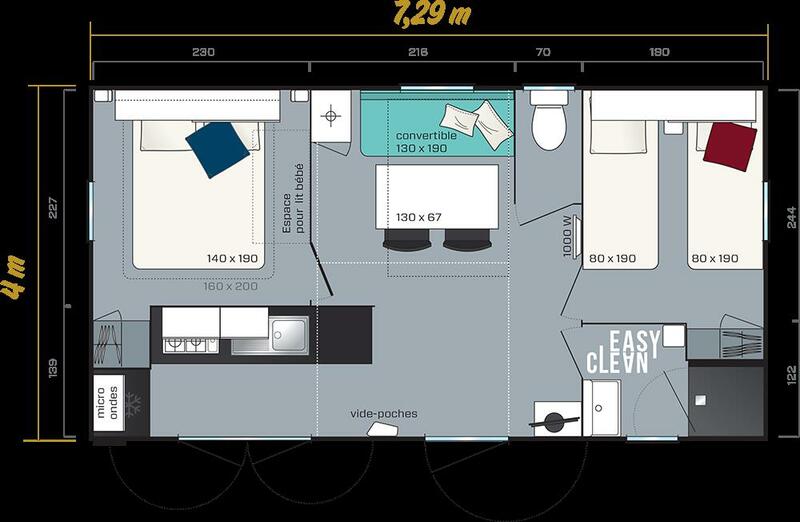 Riviera mobile home (with bathrooms) 4/6 Ppl. 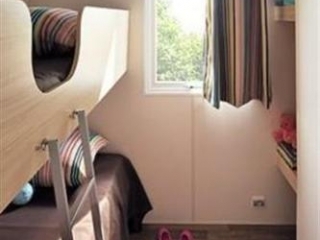 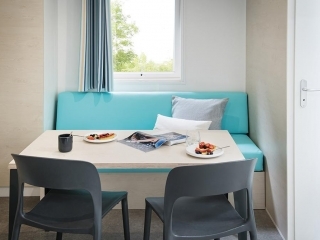 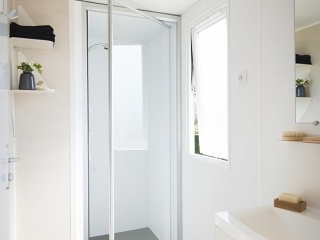 This mobile home combines comfort and modernity with its 26m² habitable. 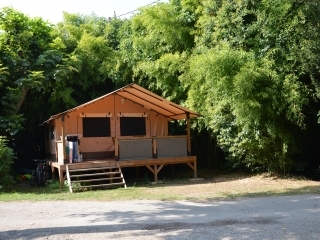 It will be perfect to meet you with family or friends. 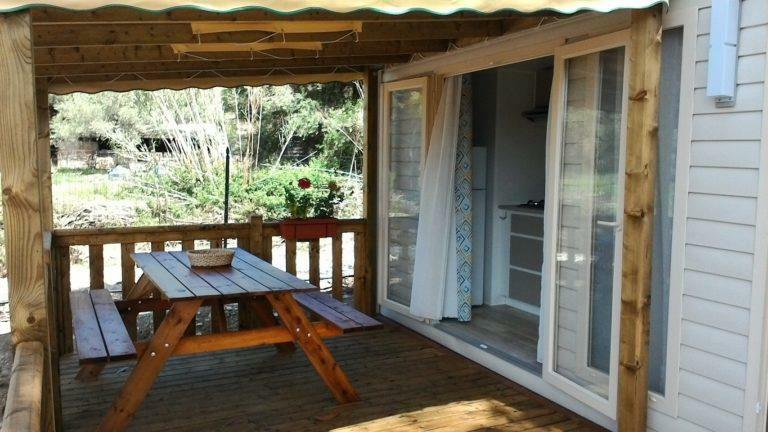 The large covered terrace of 15m² is accessible directly from the kitchen through a bay window. 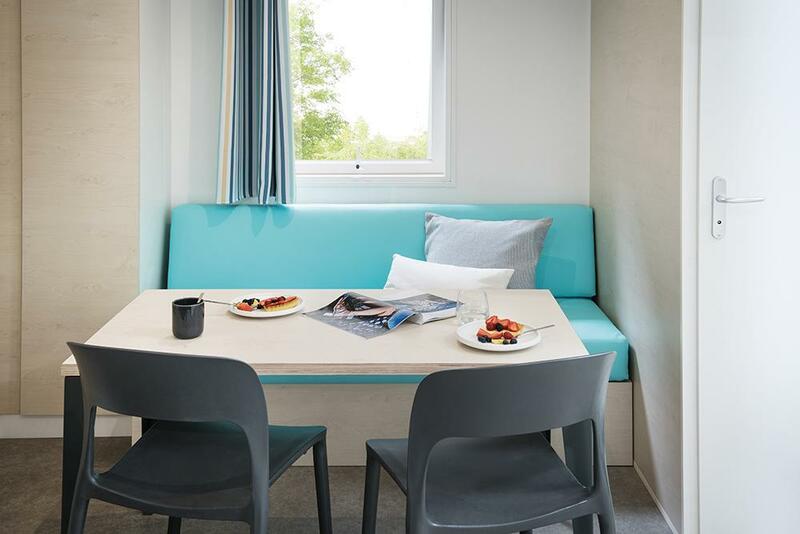 In the living room also giving directly on the terrace, a sofa bed can be used as an extra bed. 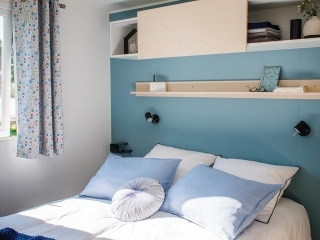 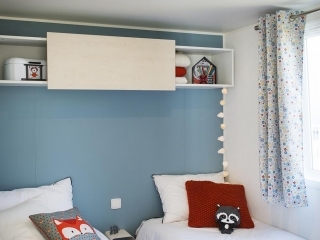 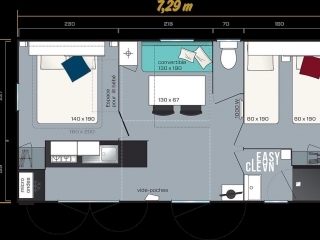 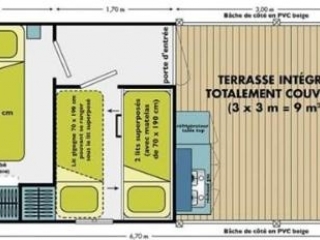 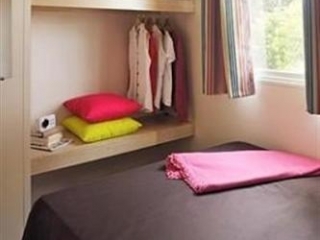 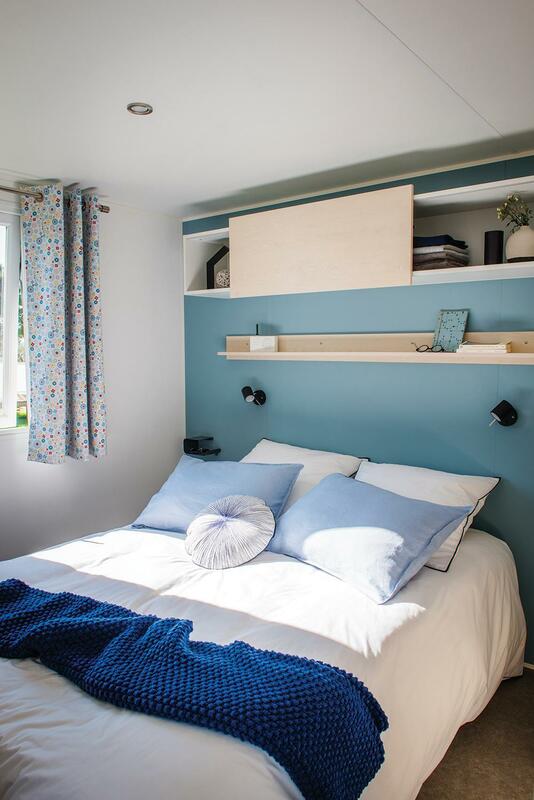 It has two bedrooms, one with a double bed (possibility to install a cot) and the other with two single beds. 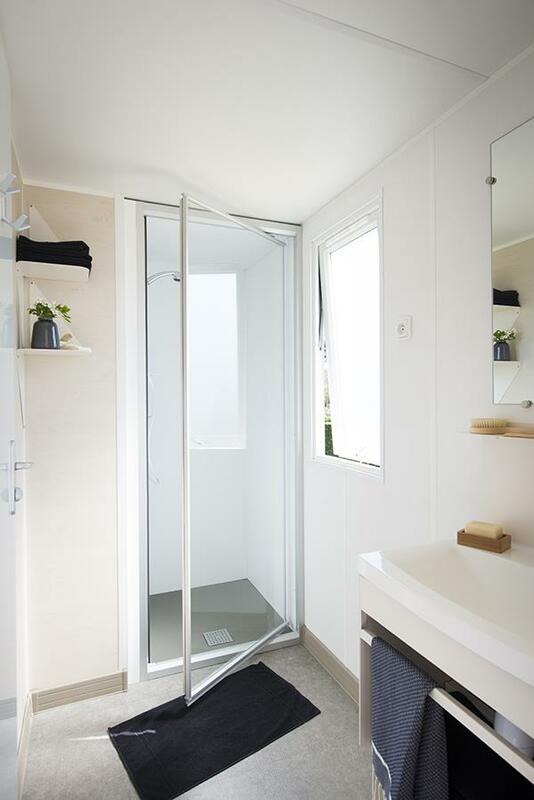 The bathroom is equipped with a shower and a sink. 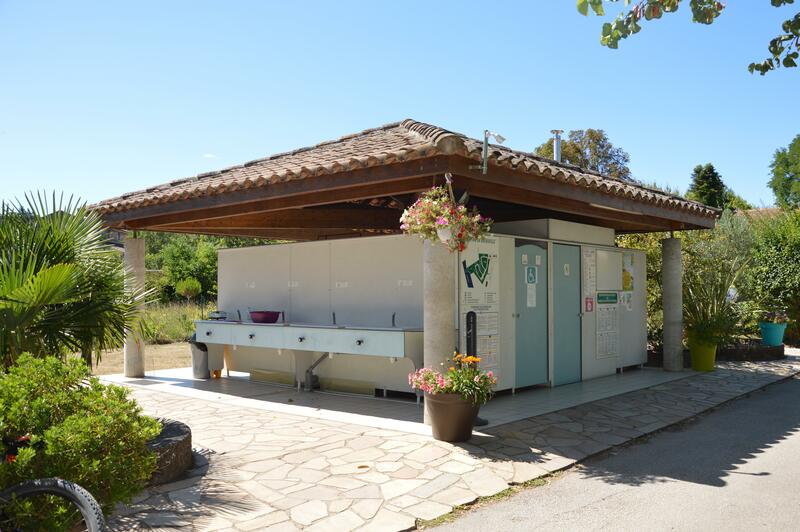 The toilets are separated.